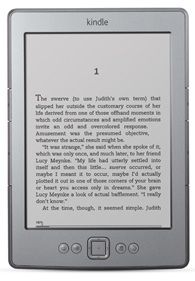 Kindle vs Kobo: Can Amazon’s Fire Win Against The Vox Internationally? The Kindle Fire has made a big splash in the Tablet PC marketplace, driving prices down across the board and seemingly speeding along the release of direct competition from Amazon’s fellow eBook vendors. Sadly, at the moment the Kindle Fire is only available in the US. Chances are good, in fact, that there is going to be an extremely long wait before device is released anywhere else. It is simply too reliant on the integration with Amazon’s Cloud Servers, Video Streaming, Android Appstore, and other such things that have not been prepared for other markets yet. That doesn’t mean that people outside the US will want to overlook the Kindle Fire, of course. Combine the $200 price tag with the almost complete lack of security measures to prevent Rooting of the device and you have a decent 7″ Android Tablet even if the quality of the custom OS is lost. It does the job, if you’re willing to put up with all of the related complications of buying, shipping, rooting, etc. The Kindle Fire isn’t the only option in this price range, though. 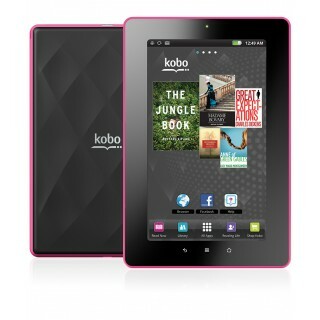 In fact the Kobo Vox, a similar competing tablet from an eBook vendor, is already available in the UK. Even if it had nothing else going for it, and it does, the Vox’s availability would be enough to make it a major player in the new $200 tablet niche. In addition to that, there is no need to root the device to get full functionality just about anywhere. It comes with full access to the Android Marketplace already enabled, unlike either its Kindle or Nook competitors. Admittedly the hardware isn’t as nice as the competition. Neither the screen nor the processor is as nice as in the Kindle, which is itself criticized as lacking power by many. They have made next to no effort to make the Kobo specifically ready for anything aside from the reading, which will already have some shortcomings given the backlit screen. Since the primary competition will be rooted devices from the US, at least at first, this shouldn’t be too big a deal but it isn’t necessarily a recipe for long-term success. As much as I’m a big fan of my Kindle Fire, neither option here thrills. The Fire is amazing in many ways, but a big part of that is the seamless integration with Amazon’s services. You lose that the second you take it out of the country. The Vox, on the other hand, has no really exciting features. When your tablet’s big claim to fame is extensive Facebook integration for a reading app, it is a stretch to see success in the future. Either way you’re getting a 7″ tablet that runs Android 2.3 for around $200 (depending on local taxes and the cost of importing) but not much else. As such, it seems unlikely that the Kindle Fire has much to fear from the Vox at the moment. What will decide things is not where the two devices stand right this minute, but where they go from here on. If Kobo can come around and start offering some really impressive incentives to use their tablet before Amazon extends their web service line sufficiently, there will be some real problems. For now, the Kindle Fire wins ever so slightly based on narrowly superior hardware and nothing else. Firm footing this is not. Amazon is all set to launch their new Amazon.es site in Spain on September 15th, according to sources in several Spanish newspapers. While the service will cover only physical goods at the time the store opens, it will expand to digital content including a Spanish Kindle Store before the end of the year. This will be a big step in eCommerce for a country that has reportedly been somewhat late to the game so far, as well as expanding the Amazon empire even more. The lack of a local Amazon presence hasn’t stopped the company from developing a substantial Spanish following over the years. It is reportedly quite common for people to order through extra-national Amazon sites in order to ensure fair prices, reliable delivery, and good customer service in a way that hasn’t been directly available in the Spanish marketplace. Some even associate the slow adoption of online retail in Spain to the fact that the country has lacked an Amazon presence up until now, so this will spur things for the better in a number of ways. One place where Amazon will not necessarily have an automatic lead over the competition will, surprisingly, be in the field of eReading. The Amazon.es site is slated to have a Kindle Store open late this year, while the Kobo release is expected any time now, if earlier promises to have their store open by the end of the summer can be believed. Kobo has managed to outdo Kindle on the international front so far in a number of ways, so this is just another front in an ongoing conflict. On top of the lack of status as the first people on the scene, the Kindle Store in question will not be able to set prices in an advantageous way. There are means in place in Spain to fix eBook prices across the market at about 30% below the cost of their print equivalent. As in the US following the introduction of Agency Model pricing, Amazon will have to find other ways to add value to their platform aside from low prices. If nothing else, at least it’s an effort that they have practice making. Amazon currently maintains a presence beyond the United States in France, Germany, China, Italy, Canada, Japan, and the UK. 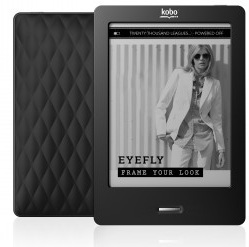 Their Kindle line has made it to the UK and Germany so far, with further international expansion said to be a priority. Many have conjectured that there will be a large push with localized devices is loosely planned for after the introduction of a Kindle without a hardware keyboard, which would obviously help with pressing adoption in countries where English is not the primary language. Time will tell if this manifests, but with many expecting a new Kindle with a touchscreen as early as October there would seem to be very little to prevent it. The speculated-upon move to an Android OS for the Kindle eReader in addition to the Kindle Tablet might make localization more problematic, but until an implementation is actually seen it is hard to do more than speculate. So far the big contribution that the Kobo has made to the eReader marketplace, in my opinion, is spurring the more established and easy to use eReaders like the Kindle and Nook into an abrupt price drop. The Kobo hit stores at $150 at a time when a decent eReader would cost you somewhere around a hundred dollars more than that no matter which one you went with. It made a big difference, even if the Kobo itself was so basic and clunky to use that it didn’t make a huge splash in terms of usability. Now, with their first major hardware upgrade, the Kobo eReader is back in the race. The new Kobo is a lot easier on the eyes and promises to be more than a little bit simpler to use. The big question is whether or not it is enough of a change. In a lot of ways, the new Kobo Touch is the same concept as the new Nook. You’ve got a 6″ E Ink Pearl screen, a Home button, and a nicely dark frame. Lots of visual similarities. You also get a WiFi connection, though it only works to go to the Kobo Store. The touchscreen seems ok, and they avoided the blurriness issues that arose in Sony’s touchscreen eReaders by going with a touchscreen technology that does not involve an extra screen layer. You even get a fair amount of internal memory and an SD slot to work with. Really, though, it seems like something is missing to be really competitive here. Leave aside the Kindle comparison for the moment to focus on the more directly comparable new Nook. Yes, there is a $10 price difference, but consider what is being sacrificed for that money. Both devices have EPUB support and work well with libraries, by all accounts. The Nook is supposedly pushing 60 days of battery life these days compared to the new Kobo’s 10 days. You only get two font sizes to choose from on the Kobo. You won’t be getting apps of any sort, from what I can see. Even the size isn’t considerably smaller in any way. 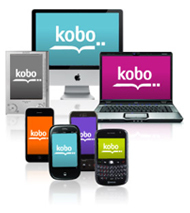 The one place where the Kobo might make a splash is in its social networking service. Amazon’s Kindle has done a bit along these lines and it wouldn’t surprise me to see the Kindle Tablet do more when it comes around, but so far I would say that the Kobo’s Reading Life is a lot more elaborate. Up until now, to the best of my knowledge, this feature has only been available through iOS and Android apps rather than as a part of the Kobo eReader itself. It tracks reading time, page turns, books completed, hands out awards for having read books, and more. 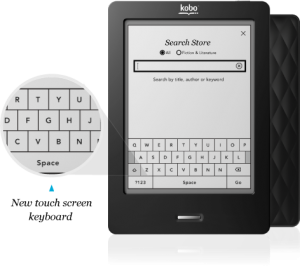 Will the novelty be able to clear a spot near the top of the eReader market for the Kobo? Probably not. Keep in mind, however, that there is room for variety. This is probably the third best eReader brand out there right now as far as the price to features ratio is concerned. There might very well be a place for it even with the Nook and Kindle holding what are in my opinion deservedly superior positions at the moment.